On September 13, 40-50 members of the Connecticut ASHRAE chapter paid ebm-papst a visit in Farmington for a technical session. These sessions are held once a month from September through May; consisting of a technical session given by a host company, social hour, dinner, and presentations by the host company. They are an opportunity for members to learn more about other companies and their products, and for the host company to showcase their expertise. 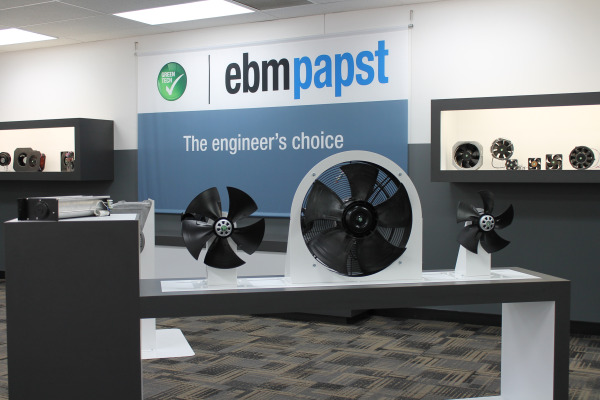 Those who arrived early were able to visit our new showroom and view our extensive range of products, including fans, blowers, and value-added assemblies. To start our technical session we divided into two groups for tours – one of our manufacturing area led by Brian Ladegard, Director of Operations, and the other of our test lab, including airflow and acoustic testing areas, led by Scott Beauchemin, Vice President of Engineering. 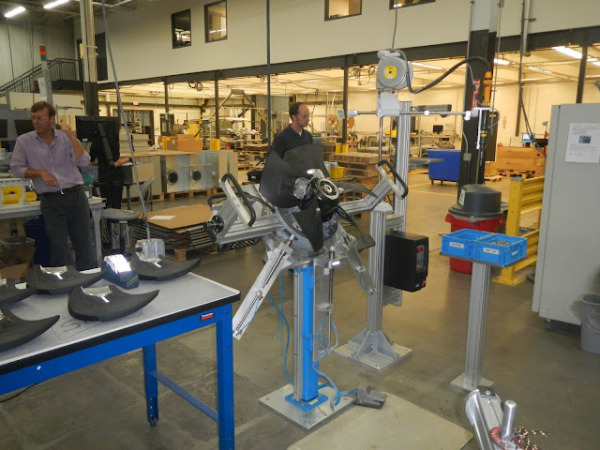 In the manufacturing areas, participants were able to see a variety of processes, such as sheet metal punching, bending, forming, painting, assembly and end-of-line testing. In the lab and testing areas, Scott described the testing we are capable of for air moving devices with focus on our air test and acoustic chambers. Participants were able to see actual customer units currently being tested. After the tours, the group reconvened at the Farmington Marriott for a social hour, dinner, and presentations by Armin Hauer, Advanced Technology Manager and Tom Costello, Market Manager - Heating. Armin covered the latest fan & EC motor technology for buildings, fan efficiency metrics and the latest fan energy legislation. Tom focused on gas component and system technology used in high efficiency residential and commercial gas fired condensing boilers, with emphasis on comparing pneumatic and electronic GARC (gas-air-ratio-control) technology. Many thanks to Armin Hauer, an active ASHRAE member himself, for being instrumental in making this possible and for providing guidance for the content. 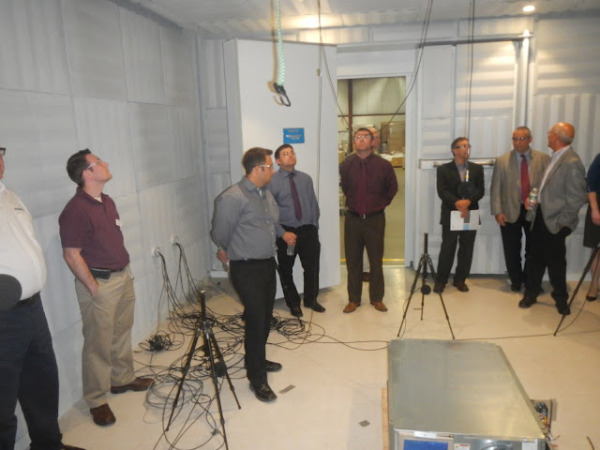 This was our first time hosting an ASHRAE tech session, and based on the feedback we received, the group found the tours and presentations to be informative and interesting. It was our pleasure to host and we thank ASHRAE for their assistance and participation with this event!